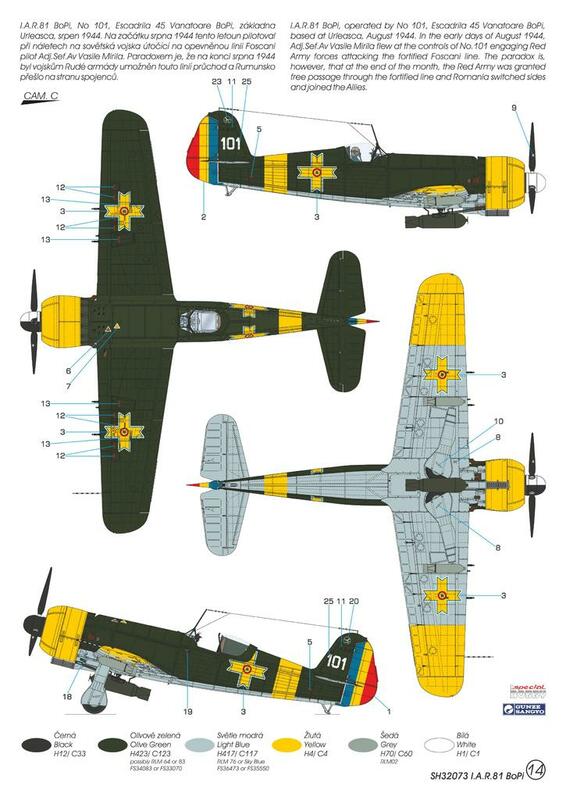 The Romania Air Force´s fighter and ground attack units were equipped with the I.A.R.80/81 type right from the beginning of the country´s involvement in the Second World War and until the end of hostilities. Fifty I.A.R.80s were in service during the attack against the Soviet Union on 22 June 1941. The 6th Group (61st and 62nd squadrons) and the 8th Group (41st and 60th Squadrons) were engaged at Stalingrad front during the autumn of 1942. 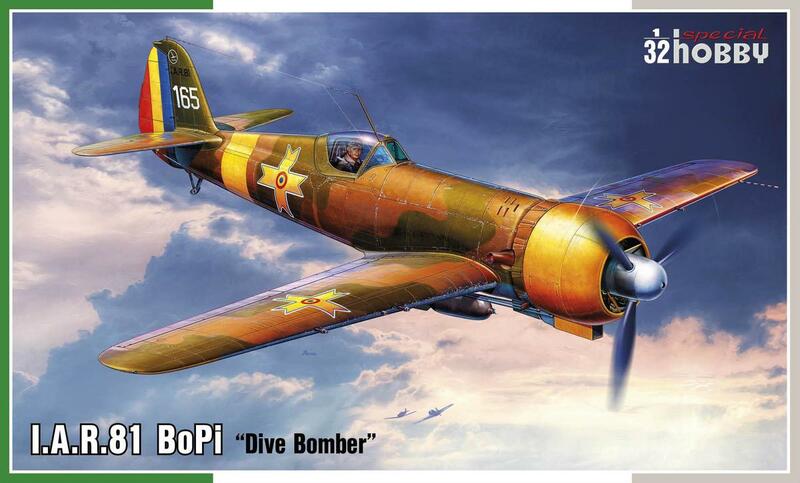 1 August 1943 saw I.A.R.80 & 81s defending the Ploiesti oil plants from attack by USAAF B-24 Liberators, during ‘Operation Tidal Wave’, when the Rumanian fighters downed some of the heavy bombers. On 10 June 1944, I.A.R.81Cs from 6th Fighter Group confronted P-38 Lightnings belonging to the USAAF 82nd and 1st FG (American pilots mistakenly reported having fought Fw 190As). 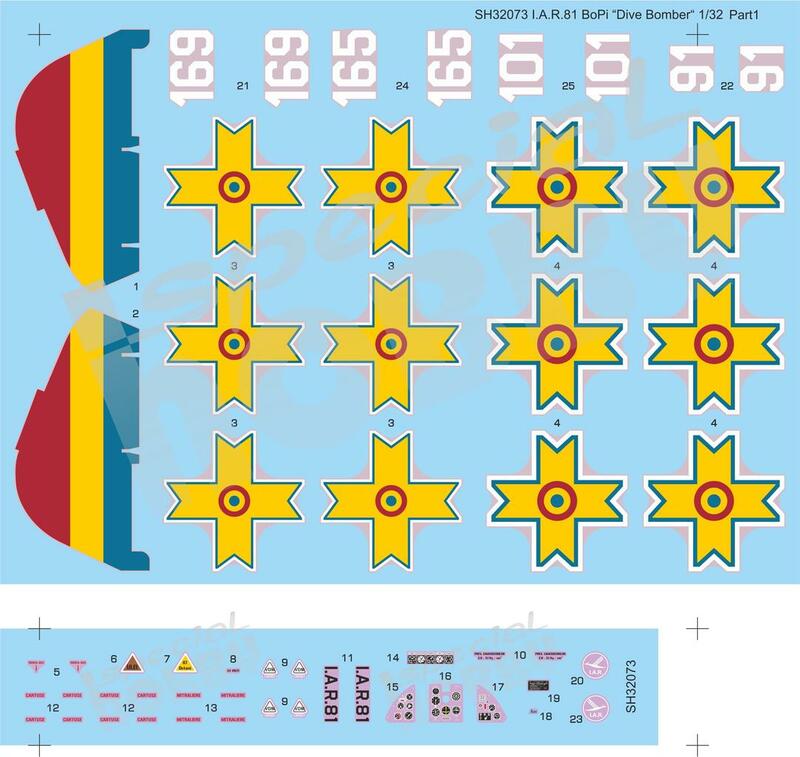 Romania joined the Allies on 24 August 1944, and changed back the national insignia worn by its aircraft from crosses to traditional blue, yellow and red roundels. Being under Soviet command, the I.A.R.80/81 units saw combat over Hungary and later also during the liberation of Czechoslovakia over the areas of Moravia and Slovakia, where they enjoyed and suffered their final victories and losses. Remaining airframes of the 80/81 type kept on serving in Romania until the 1950s, some of them also being rebuilt in 1950 to advanced trainer version known as the I.A.R.81DC. 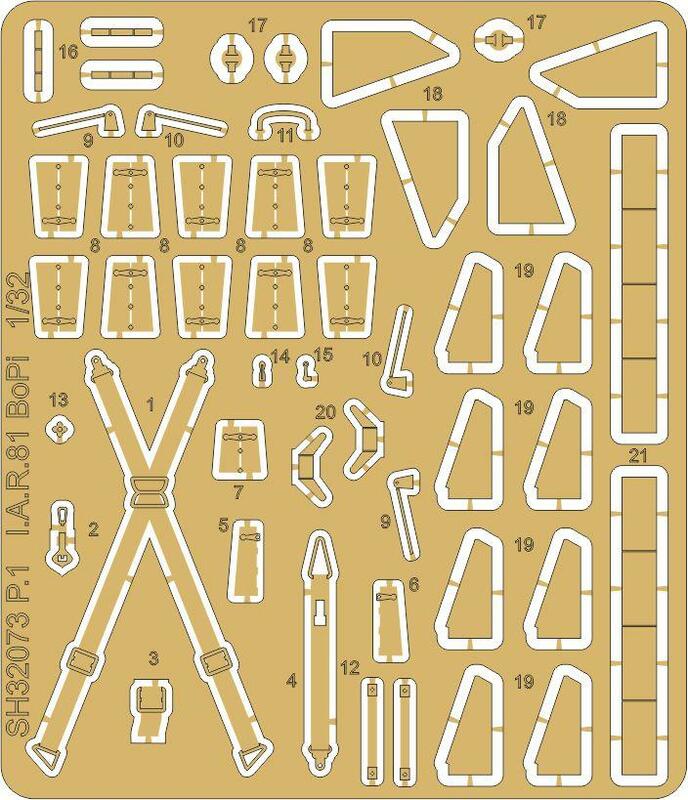 In the box adorned with a bomb-laden I.A.R.81 BoPi airplane, the modeller will find in total seven injection moulded sprues made using steel tools, one clear styrene sprue with canopy parts and other smaller clear items, nicely detailed set of resin parts and a fret of photo etches. The model comes complete with the centre-line rack bomb and underwing bombs and their racks. The decals offer four Romanian options, two of them in a three-tone scheme, the other two in two-tone camouflage.